RAW Viewer is a viewer application that can handle Sony RAW/X-OCN files recorded by VENICE/F65/F55/F5/NEX-FS700 with SR-R4/AXS-R5/R7. Users can check and playback the files, control images and generate several video formats. Zooming and pixel by pixel displaying. 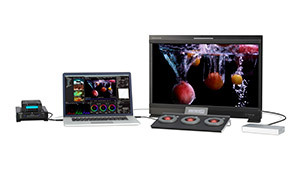 RAW Viewer supports Monitor Out Device “UltraStudio” series which are released from Black Magic Design. This function allow you to output HD, 2K, QFHD, and 4K signals to monitors and control each materials correctively. 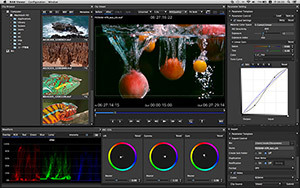 Connected Element panels or wave panel which is released from Tangent to computer via USB allow you to control color circles and other parameters intuitively on RAW Viewer. The Task Queue displays a list of tasks registered. In addition, users can control tasks such as PAUSE, ABORT and REARRANGING the order of tasks. RAW Viewer has salvage function for RAW files which are shot by AXS-R5/R7 and ASX Memory cards. RAW Viewer has Generating MD5 and checking MD5 functions. And it can check SRSum which has generated by SR-PC4 and SRPC-5 for SRMemories.